In this technological age, people lives tend to be welded to electronic devices such as smartphones, computers and many others. It goes without saying that staring at a screen for a significant period of time is far from being healthy. Without taking proper exercises, your body would be vulnerable to a lot of dangerous ailments and your mind inevitably suffers. As a result, it’s a good idea for you to take a short break and head into the great outdoors every now and then. A relaxed, enjoyable camping trip could offer substantial improvements to your mental and physical health. That being said, you would only able to get the most out of an outdoor camping trip by planning thoroughly. Needless to say, camping preparation is not nearly as complicated as rocket science but it may overwhelm inexperienced first-timer. Fortunately, if you wish to acquire some hints in order to avoid beginner mistakes, you come to the right place. This article right here contains everything you should keep in mind while preparing for a camping trip in the outdoors. Take a good look at the provided information down below and you could enjoy your outdoor excursion to the fullest. Although a bit of improvising won’t hurt, it’s unwise to leave it all to chance when you about to head to unknown campsites. The more you know about your destination, the better your planning becomes so be thorough. Nowadays, there are numerous ways you could use to gather details regarding the weathers, terrains and alike in specific locations. In addition to that, certain websites even offer comprehensive camping guides for well know campsites. By taking advantage of these information sources, your adventure in the great outdoors may get off to a good start. As a novice camper, you should prioritize campsites that are easily accessible and have high-quality facilities in the vicinity. Camping is all about getting close to nature but that doesn’t mean you must not use modern day conveniences. Moreover, make sure that the place you intend to camp is located near a town/city so you could restock your supplies without much difficulty. While researching potential campsite for your trip, you should pay special attention to the availability of space in peak seasons. Due to the number of campers, a couple of places require you to make a booking ahead of the trip. When you get a general idea of what to expect at the campsite, you could finally start preparing in earnest. One of the first things to do is to secure equipment for the trip which may include tents, sleeping bags, cooking utensils and so on. Use the information you obtain above in order to make the right purchases, you surely don’t want to use summer stuff for winter camping. If you are a budget-minded consumer and rarely go camping, you could choose something that matches you limited wallet. On the other hand, if you intend to turn camping into a hobby, you should try to get products that are rugged and well-made. After you got all the tools and gears required for the upcoming trip, it’s of utmost importance that you test them out at once. By setting up/tuning on the equipment at home, you could familiarize yourself with the operation and detect concealed problems. The last thing you ever want to experience during a camping trip is to get stuck with overcomplicated/broken stuff. 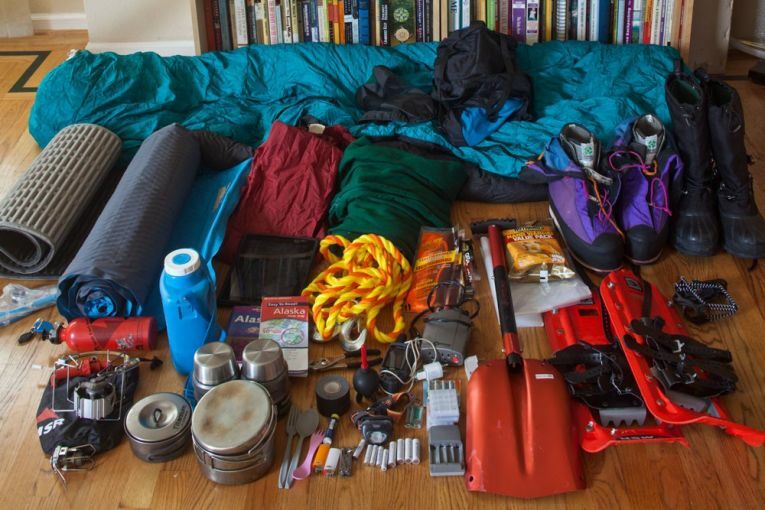 Therefore, run through every camping tools and gears you have to make sure that they work exactly as you anticipate. Most campers like to travel as they please but it’s could get annoying if you happen to arrive at the campsite late at night. You have to locate a suitable camping spot, cook dinner,…To perform such tasks in low light conditions is difficult. That is why you should consider compiling a sound travel schedule so you could arrive at your desired campsite early. Remember that campfire and moonlight are not going to be sufficient to illuminate your surroundings which mean setting up in sunlight is the best option. An ordinary campsite could only accommodate a limited number of campers at the same time. So if your destination happens to be full when you arrive, you need to head off somewhere else and that may throw you into confusion. To actively prepare for that scenario, it’s essential to include a couple of alternative campsites in your travel schedule. People generally don’t like latecomers to barge into their camping space late at night so a backup plan is a must for outdoor camping. Outdoor campsites are regularly visited by a wide variety of rodents as well as other animals searching for leftover foods. In order to prevent these uninvited visitors from making a mess of your camping space, wrap and dispose of your trashes in a proper manner. Store all your food in plastic airtight containers and be mindful of them while camping. Campsites in particular regions may even require you to use a specialized hang bag due to the presence of bears. There are a lot of items involved in outdoor camping and it’s hard to remember them on your own. To make thing easy for you later on, try to come up with an essential checklist after you got everything. With the checklist on hand, you could neatly organize your entire travel inventory and ensure that you have packed all necessary stuff before you leave. However, it’s advised that you keep the checklist relatively straightforward so you don’t get confused in a rush. And that is pretty much everything you have to remember while preparing for your very first camping trip, quite simple to take in, right? 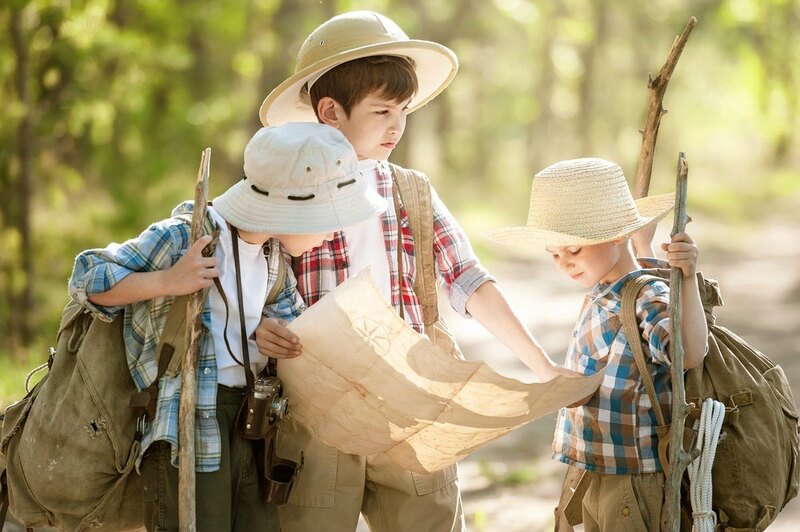 Things may seem fairly difficult at first but as long as you stay focus and pay attention, your outdoor excursion should be enjoyable and uneventful.